Not just for Incense Anymore! Patchouli Oil (Patchouly oil or Pachouli) has a sweet and rich aroma that is very supporting to healthy skin. Patchouli supports a healthy digestive system and soothes occasional queasiness*. It may improve the appearance of chapped skin or dry skin; and is an ideal addition to your favorite skin care products. Patchouli Essential Oil is steam distilled from the leaves and flowers of the plant and is native to Asia. 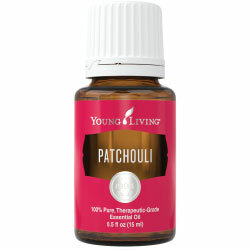 Most of us remember patchouli as the incense and aroma of the 1960s and 1970s. My favorite blend that contains patchouli oil is Peace & Calming essential oil blend. It is fantastic oil to reduce stress and nervous tension and to help you sleep better. I personally use it every day and night, and at the barn for the horses. Buy Patchouli Essential Oil Here! Why is this information important? There are several species of patchouli that are grown in different parts of Asia including Indonesia, China, India, Brazil and Malaysia. The cablin species is considered a superior species, by professional aromatherapists. It is always best to purchase your essential oil by common name and genus species so you know exactly what you are getting! Did you know that silk traders from China traveling to the Middle East packed their silk cloth with dried patchouli leaves in the 18th and 19th century? Yes, this was said to prevent moths from laying eggs on the material. Wow! What are the Plant Properties? Soothing and releasing. What are the Documented Patchouli Benefits and Uses? Supports healthy skin and digestive system*. What is the Aromatic Affect on the Mind? Its sweet and rich aroma is calming and relaxing physically and mentally. What is the Spiritual Influence? This oil has been used to relax the mind and clarify thoughts for hundreds of years. It is primarily used to align the heart chakra with the root and sacral chakras. 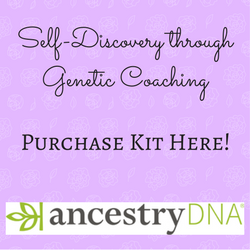 It does this by releasing obsessions, insecurities and jealousies and enhancing our desire to live a fuller life. It also ground the body and asks us to stay in the present moment rather than stressing about things that are beyond our control. Can this oil be used for Pets? Yes, it has natural deodorizing qualities and is supports healthy skin. It is in Animal Scents Ointment a nourishing and natural ointment that I use for on all the animals. Note about Animal Use: Certain oils can be very toxic to cats. Pine and citrus products and oils in particular that are not therapeutic grade. Please consult your vet if you are not sure about applying any essential oil to your pet. What are the Safety Precautions? Only therapeutic grade essential oils should be used for best results. Because it is approved as a Food Additive (FA) and Flavoring Agent (FL) by the FDA, Patchouli Oil is readily available on the market in many different qualities. Did you know that patchouli (synthetic) is still widely used in the perfume industry today? Want to Purchase Therapeutic Patchouli Essential Oil?. Go to the Oil Shop! Buy Patchouli Essential Oil Here! Place patchouli oil on your wrists as a natural perfume and to keep relaxed and combat stress all day long!